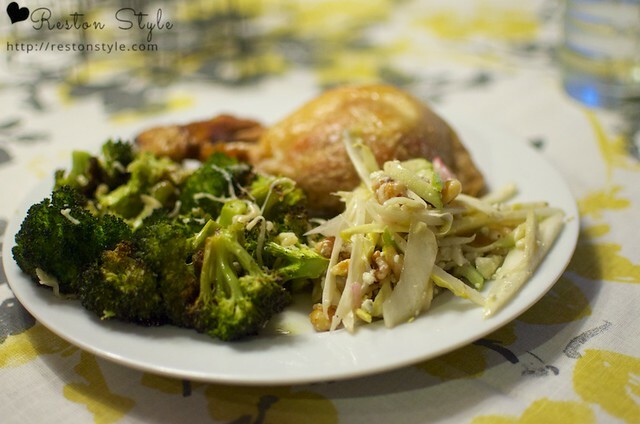 Did you notice that little salad on the plate next to the Hareiller Roast Chicken? Even though I love that Reid cooks for me, I like to feel like I contribute. Reid always picks the wine, cider, or makes a custom cocktail when I cook, so I figured the least I could contribute was a small side salad. Anytime I see an endive salad on a menu, I order it. There's just something about endive that I love. Maybe its that I didn't have it until I was 23, so it seems special. 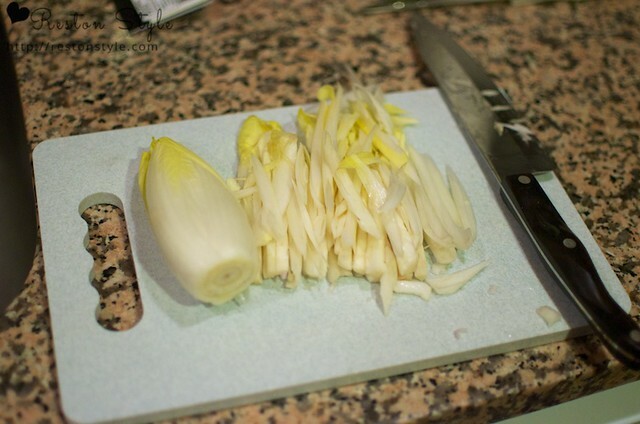 The first few times that I had endive, it was served whole leaf, as an appetizer with toppings in it. It's super fun to eat this way! 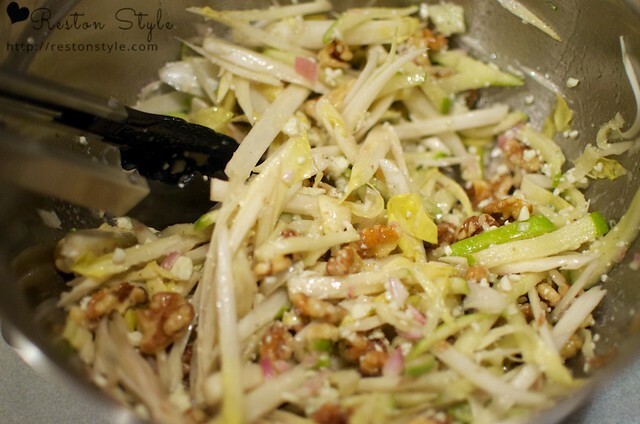 But Liberty Tavern, in Clarendon, serves an endive and apple salad that is chopped like this. I have been dying to recreate it, and I think I did a pretty good job! 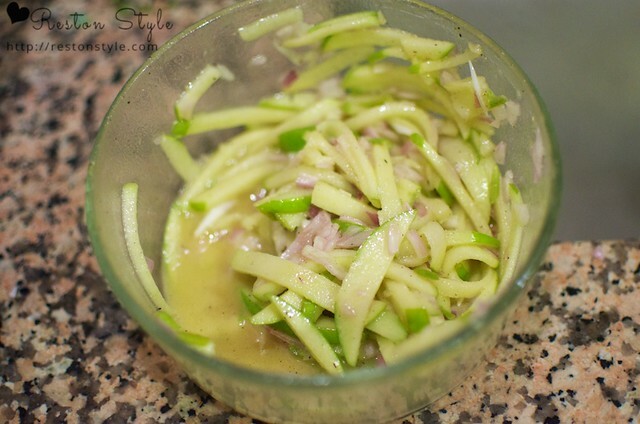 combine some olive oil, apple cider vinegar (or light colored vinegar of your choice), dijon mustard, white pepper, salt, honey, and black pepper to make a dressing. I don't really measure, I just use a 1/3 oil, to 2/3 of vinegar ratio and add things until it tastes right. This time I even added some white truffle oil that I had on hand, for an earthy taste.